​The Clemmons Family Farm in Vermont is in a phase of gradual transition from a private family-owned farm to a non-profit organization. We are pursuing several avenues to raise funds that will enable us to offer more public events and programs celebrating African American heritage, farming, the arts and sciences, and multicuturalism. Some of the grounds and buildings are available now to rent for special functions and occasions. Please like us on Facebook and keep an eye out for other announcements on this page! 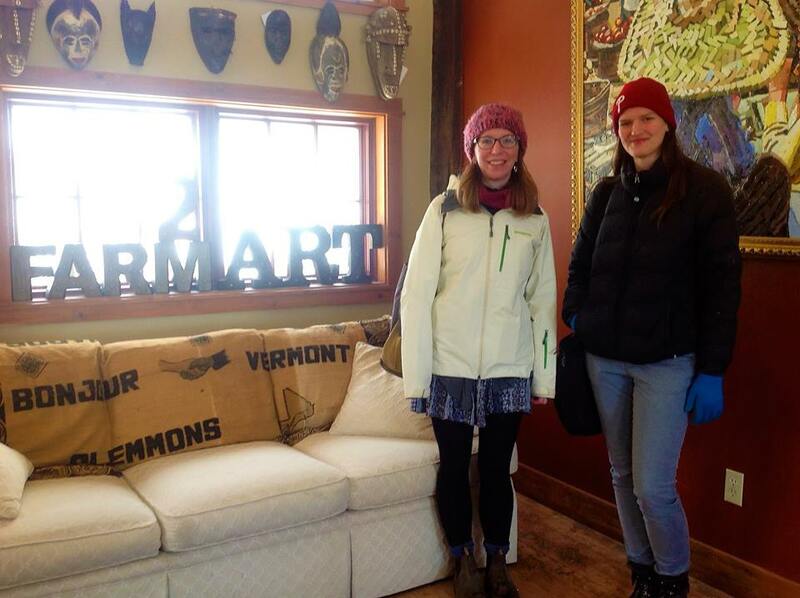 Outreach teams from Champlain College, Middlebury College and University of Vermont's Center for Sustainable Agriculture visited the Farm to have a look at our historic buildings, grounds, and forest as future venues for meetings, workshops and retreats. We also explored opportunities to collaborate around programs in the arts and culture, and in silvopasturing and sustainable agriculture! 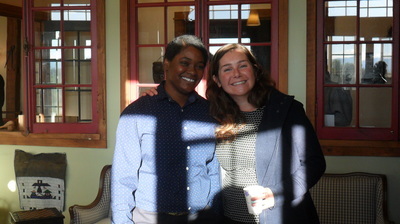 Below: Emma McDonald and Katie Carpenter of the Middlebury College Center for Community Engagement. Upper right: Kimberly, Suzie Hodgson, Juan Alvez and Cheryl Herrick of UVM Center Sustainable Agriculture. Lower right: Ame Lambert, Brian Murphy and Rosalyn Whitacker-Heck of Champlain College. 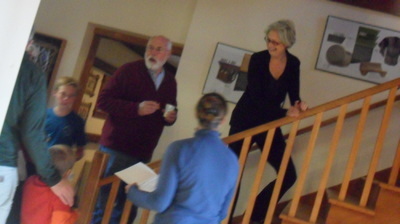 Above: Jack Clemmons and Ronnie Stearns discuss the timber harvesting strategy for the forest. November 2016: Timber harvesting under our Forest Management Plan. Our 40 acre forest is lovingly tended by a team of sustainable forestry experts, including logger Ronnie Stearns, who began work at the Farm this month. Above: The video "Wood Talk" shares childhood memories of the Clemmons family's relationship with the forest, and introduces Ronnie Stearns, a logger with 25 years of experience. November 2016: Filming the pilot of "Healthy Kingdom", a new African diaspora healthy-cooking show. The Farm collaborated with Chef Prince Awaitey and Producer Shaunese Crawford, both of Burlington, by providing the location, set and facilities to film the show at the Barn House on Clemmons Family Farm. Left: A teaser video about the filming of the "Healthy Kingdom" pilot. Read more about this new enterprise in the November 16 2016 edition of The Charlotte News. October 2016: Technical assistance visit by the Black Family Land Trust. 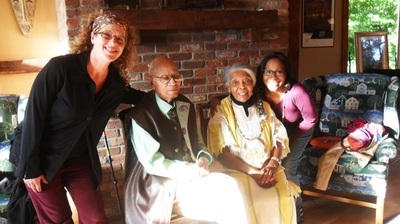 We were honored to receive a visit from Ms. Lillian Alexander, Executive Director of the Black Family Land Trust, based in North Carolina. 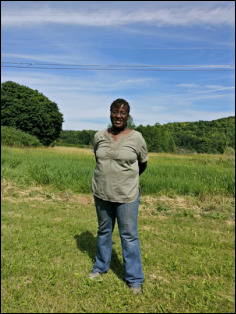 It is the only Land Trust in the United States whose mission is to help African American families retain their farms and forests. The Black Family Land Trust (BFLT) primarily operates in the Southeastern United States, where the majority of African American-owned farms are located. 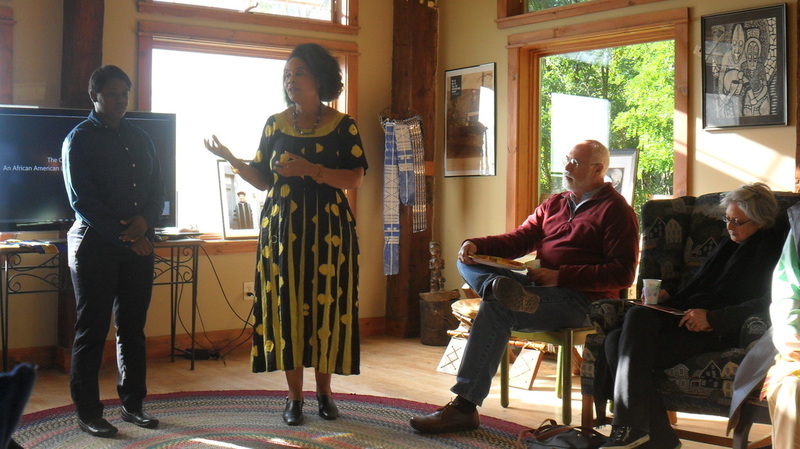 In collaboration with the Vermont Partnership for Fairness and Diversity, the Farm hosted a small event during which Ms. Alexander spoke about the BFLT's work and strategies to protect and preserve African American and other historically under-served land assets. Above: The special e-video invitation to our October 2016 event with the Black Family Land Trust of North Carolina. October 2016: Conditions assessment of our historic Big Barn and Shed. 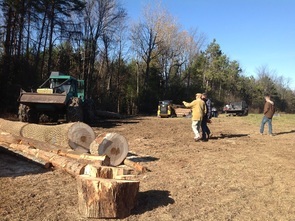 The Farm received with gratitude a grant from the Preservation Trust of Vermont to help cover the professional fees of Eliot Lothrop of Building Heritage. Eiliot is an expert in historic barn preservation and has a wealth of knowledge to share! Left: Eliot and Jack Clemmons take a moment out of their barn talk to pose for a photo. Above: In the video "Barn Talk", Eliot Lathrop shares a few tidbits about the square silo and other unique features of the historic Big Barn and Shed (c. early 1800's) at the Clemmons Family Farm. September 2016: Drone aerial videography of the Clemmons Family Farm with Dana Govett. Charlotte, Vermont resident Dana Govett has wonderful expertise in drone videography. Dana captured breathtaking aerial views of our 148 acre farm. The video footage will be included in a series of short videos we are making about the Farm. 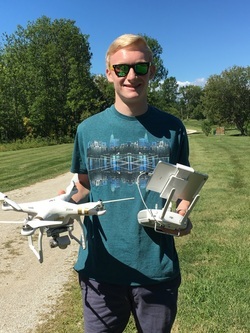 Dana and his drone are now part of the legacy! Above: Some of the aerial views of the Clemmons Family Farm captured by Dana's drone. September 2016: Celebrating the opening of the Smithsonian National Museum of African American Heritage and Culture in Washington, DC. 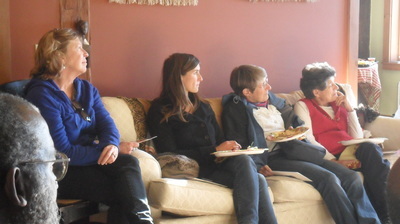 We had a great time co-hosting a watch party in Burlington with RETN, Eva McKend of WCAX TV, and Jane Williamson Director of the Rokeby Museum. RETN live-streamed the big opening event from their beautiful facility on Flynn Avenue. We also had fun holding an after-opening celebration at the Barn House on the Clemmons Family Farm in Charlotte the following day. 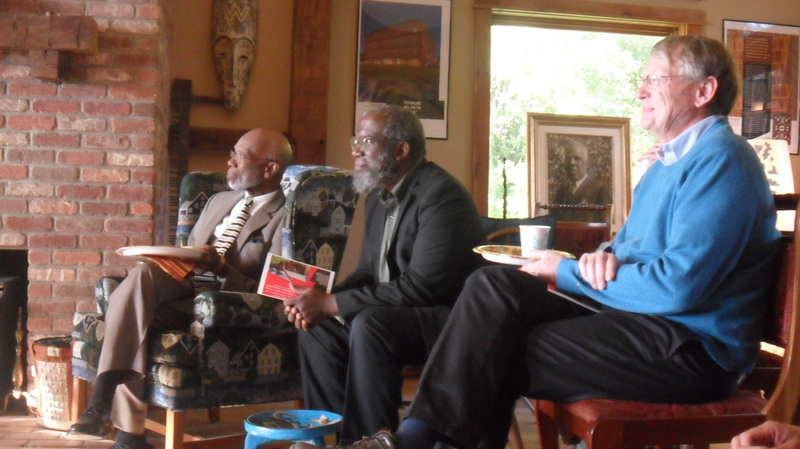 August 31 2016: Mini-Charette with the Cooperstown Graduate Program of Museum Studies of Cooperstown, New York. Dr. Gretchen Sorin, Director of the Cooperstown Graduate Program, along with her second-year Master's Degree students, the Reverend Roy Hill, Ms. Jane Williamson Director of the Rokeby Museum, Ms. Amy Cunningham of the Vermont Council of the Humanities, and our very own Kim McCleary, spent a day at the Clemmons Family Farm contributing to a draft plan of immediate next steps, longer­-term strategies, and benchmark models in the areas of programming, fundraising, and collaboration. Now, this wonderful team is a Part of the Legacy! August 2016: Two hugely important landmarks for the Clemmons Family Farm happened this month! 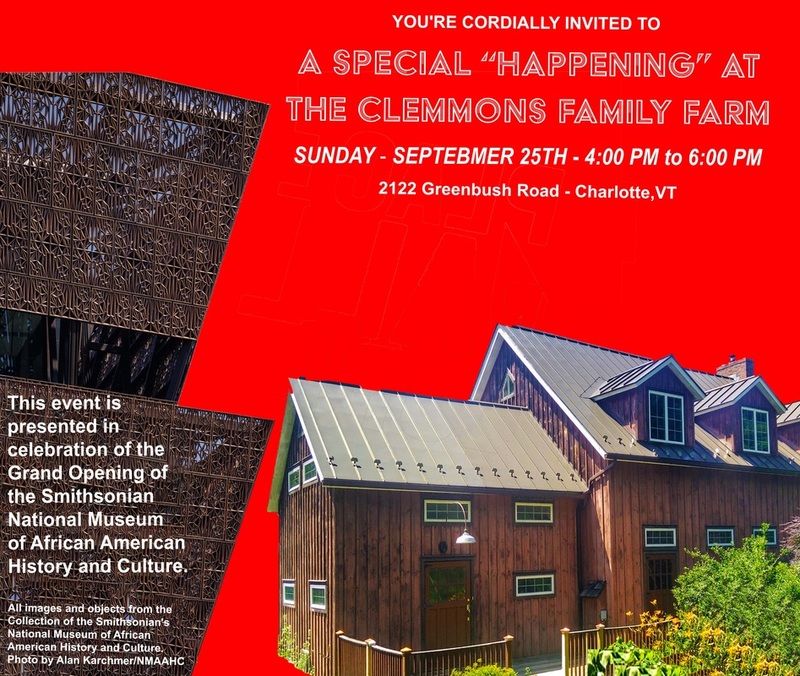 First, the Clemmons Family Farm has been officially added to the State of Vermont's African American Heritage Trail, joining 22 other landmark sites of museums, cultural sites and historic markers honoring Black Vermonters' influence on the state's identity and history. Second, the Peace & Justice Center, based in Burlington, Vermont, accepted our application for allied membership and now serves as our fiscal sponsor for some of our future non-profit grant applications and funding! ​August - October 2016: First Steps Towards Revitalizing and Diversifying our Farming. ​﻿The Clemmons Family Farm is now partnering with Land for Good to plan new agricultural activities on our prime soils and to create new opportunities for farmers to work with us on our beautiful 148-acre property. 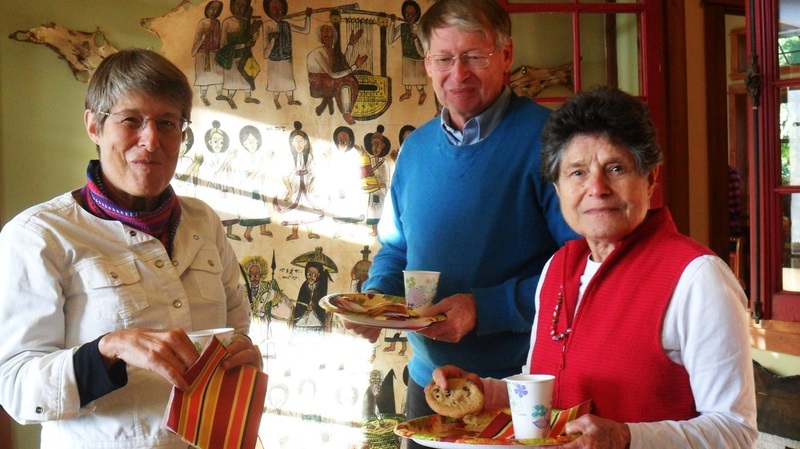 Clemmons Family Farm 2016 Farm Heritage Volunteer Program. Tolu Ogundipe, Farm Heritage Volunteer. We are pleased to introduce Ms. Tolu Ogundipe as our first Farm Heritage Volunteer. Tolu is joining us through our new collaboration with the University of Vermont's Farming Training Program, where she is studying for her Certificate in Sustainable Agriculture. Tolu is from Nigeria, and has a Master's Degree in Environmental Engineering Management from the University of Technology in Australia. She received her Bachelor's Degree in Mechanical Engineering from Messiah College in Pennsylvania. ​June - September 2016: Clemmons Family Farm 2016 Summer Fellowship Program. Our exciting Summer 2016 Fellowship Program began in June! 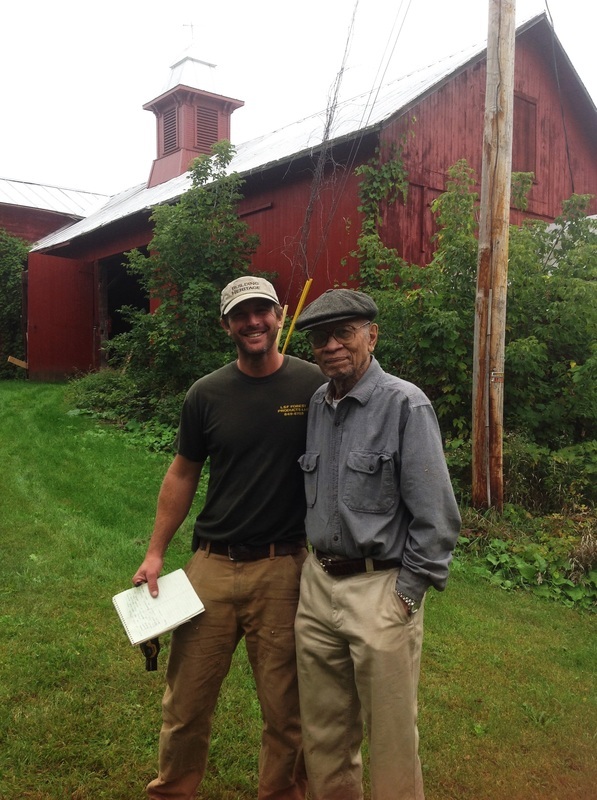 The Program, funded through the 1772 Foundation and in collaboration with Cooperstown Graduate Program in New York, brings state-of-the-art technical assistance to support the first phase of the Farm's transition into an African American Heritage Center. 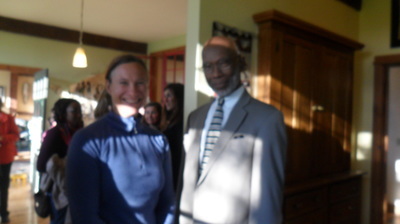 In its capacity as a Center, the Clemmons Family Farm will continue the family tradition of blending agriculture with the arts and sciences, African American heritage, and multiculturalism. Video credits: Special thanks to VCAM, who generously loaned some of the equipment used to film this video, and to Tom Graybael who filmed it! Kim McCleary, Cultural Entrepreneurship Fellow. ​Kim is an emerging Museum Professional with a Master's of Arts Degree in Museum Studies from Cooperstown Graduate Program, and a Bachelor's of Arts Degree in History from Texas Christian University. Prior to joining us at the Farm, Kim served as an Administration Intern at the Cooperstown Art Association in New York and a Community Programs Intern at the Santa Cruz Museum of Art and History in California. This summer Kim will conduct a bench marking study to explore other business models for the Farm's culture, arts and heritage activities and will draft a business plan for the Clemmons Family Farm. 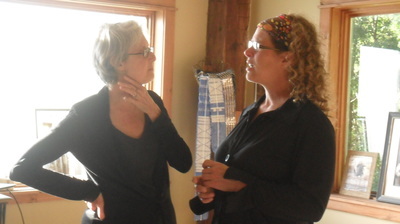 She will also contribute to outreach and grant writing for the Farm's non-profit work. Kim is from Texas. ​June - August 2016: Farm2Art Summer Program. ​The Farm has been blessed to partner with the Nancy Winship Milliken Studio on our summer Farm2Art intern program at the Clemmons Family Farm. This summer's interns- Chloe Dubois, Cullen Hairston, Gabrielle Rosenbacher, and Dory Sumner- are students at the University of Vermont and the Massachusetts College of Art and Design. Announcements about our 2017 Farm2Art summer program and how to apply will be posted on the website and on our Facebook page in early 2017!